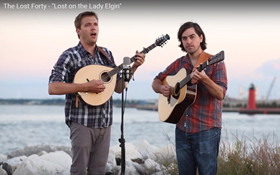 The Minnesota Folksong Collection, the Minnesota Folksong Challenge and the videos and performances in 2016 by The Lost Forty have all been part of The Lost Forty Project. The Lost Forty Project was funded in part by a 2016 Folk and Traditional Arts grant from the Minnesota State Arts Board. Huge thanks to the Minnesota State Arts Board for this help! Additional funding for The Lost Forty Project came from a March 2016 crowdfunding campaign. In less than a week, supporters contributed enough through Kickstarter to pass our $6000 goal! 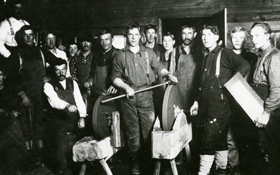 Thanks to all who pitched in to help create a first-of-its-kind free online archive of folksong field recordings from Minnesota: The Minnesota Folksong Collection! 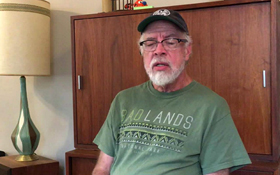 Archival recordings of MN singers, song transcriptions and more. See and hear current artists doing songs from the archive. Learn a song yourself and add your own song video to this site!